Roads Were Not Built For Cars | Will today’s motorways suffer a similar fate to the railway lines that are now rail-trails? Will today’s motorways suffer a similar fate to the railway lines that are now rail-trails? That things change is a given. The motorways of today – so incredibly vital that billions must be spent on new ones at every opportunity – may suffer a similar fate to the railway lines that are now rail-trails. We’ve built ourselves a motor-centric society and we can only imagine a slightly different future: more roads, dotted with faster, sleeker motor cars, perhaps powered with electricity but still car-shaped. 18th-century folk thought canals would last for ever. 19th-century folk thought the same about turnpikes, and then trains. “People of to-day … were born in a railway world, and they expect to die in one,” said H. G. Wells in 1901. When the use of stagecoaches tailed off thanks to competition from railways, Britain’s expensive turnpikes went through a period of “desuetude and disrepair.” Roads were considered outdated, no longer needed. The only future imagined was of steel rails and steam trains. Victorian towns and cities were eviscerated to incorporate the transport mode of the future. Nothing was allowed to stand in the way of progress. In the 1890s, no policymakers, no bureaucrats, no planners, no government ministers had any inkling that the “railway age” was but a blip, and that towns and cities so ripped apart by the unstoppable train would be ripped apart again by the seemingly insignificant motor car. MPs and ministers were influenced mainly by railway interests until well into the 1920s. Motor cars came to dominate our lives not by design but by stealth. Few predicted the motor car’s eventual dominance and it’s reasonable to assume that the same inability to accurately predict the future afflicts us, too. While some governments are banking on roads becoming busier and busier – and thanks to no drivers, safer and safer – this might not happen. The next transport technology could be something we’ve never even thought of, or not thought of for a very long time. Montague, the long-time chief leader writer of The Guardian, was writing in 1924 about an early 1900s solo cycle ride from Manchester to London, on the formerly busy Holyhead road, “all untarred in that age.” He wasn’t a “scorcher,” or even a tourer. His 19-hour journey was done for the hell of it. (He was a mountaineer, not a cyclist). You certainly see most when you walk, but you cannot walk to London in a day, and one unbroken day’s view of the whole stretch of road was the object. By car the thing would be easy, but then travel by car is only semi-travel, verging on the demi-semi-travel that you get in trains. You must feel a road with your muscles, as well as see it, before even your eyes can get a full sense of it. 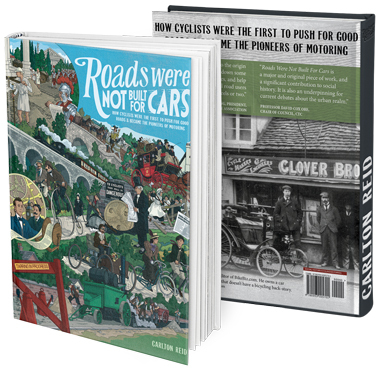 When Montague recounted his tale in the 1920s, the idea of being able to undertake a quiet and peaceful bicycle journey on what had become one of Britain’s major trunk roads must have seemed a lifetime away. In just 25 years a previously quiet road had been transformed into a maelstrom of motors. Montague’s early-1900s ride had been over the “brutal white … macadam dust” of Telford’s great turnpike road built atop the Roman Watling Street. By 1924, the Holyhead road had become the anodyne A5. Motorists, the men from “the ministry” decided, had no need of history – they were in a hurry and needed codenames for “their” roads, not those cumbersome, romantic names. Roads were modernised overnight not with asphalt but with a number and the letter A. 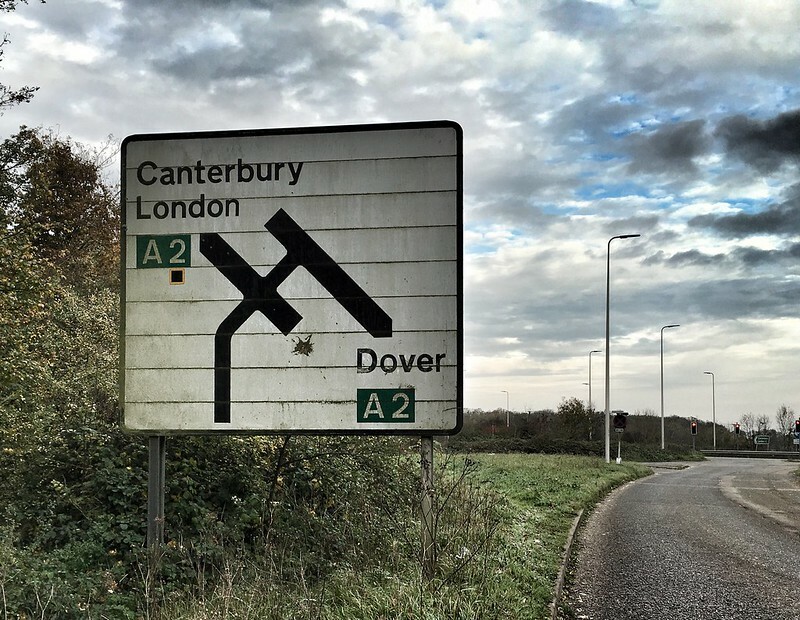 On April Fool’s Day, 1923, the Ministry of Transport finally listened to Rees Jeffreys, and classified the Great North Road as the A1, the Dover Road as the A2, the Portsmouth Road as the A3 and so on, naming English roads via “spokes” radiating out from London. “The face of any old road,” wrote Montague, “is as visibly filled with expression and lined with experience as any old man’s.” That was still the case in 1924, despite the road re-naming exercise, and it remained so for about another 30 years. Motorways – when the letter A was joined by the letter “M” – changed all that, transforming roads with personalities into you-could-be-anywhere motor-centric roads. Yet for all the modernist concrete bridges, standardised blue signs and four or more lanes demarcated with disfiguring thermoplastic paint, much of Britain’s motorway network, started in the late 1950s, is, to those who care to recognise it, ancient. A great many stretches of motorways were built over the top of turnpikes – which, in their turn, had levelled out the *agger* road lips thrown up on the orders of centurions. It was the Romans who put British roads on the map. Roman roads were also statements of intent, built as fast lines of communication. Just as motorways proclaim “these roads are for motors,” or – and it’s really much the same thing – “here be dragons,” Romans proclaimed that their roads were for soldiers, and only gradually did they become roads for more peaceful purposes. Roman roads can be considered the third major phase in British road history, with transhumance being the first. As in America, animals created the first British roads, at first by themselves in natural seasonal migrations, and later as livestock when the ancient Britons moved their beasts between winter and summer pastures. At roughly the same time, high-level trading routes were also created, above the marshes, on ridges, over hill and dale. On these early British roads it’s likely that survival was more important than speed. The Romans accelerated road transport. Speed, however, is relative. A Roman legion was expected to march the ten miles between military camps in three and a half hours, at a speed of just under three miles per hour, with the one-mile-per-hour oxen-pulled baggage trains trailing in much later. If required, soldiers could march at twice this speed and complete 20 to 30 miles in a day. Once protected and developed, the Roman road network allowed for even greater speed. There would be a rest-house – or *mansio* – every 15 to 18 miles, which is a good indication of how far a pedestrian or a rider could be expected to travel in a day. (In exceptional circumstances impressive distances could be accomplished on Rome’s European roads. In 9 B.C., the future emperor Tiberius was able to ride almost 200 miles across Germany in 24 hours to join his dying brother, Nero Claudius Drusus). 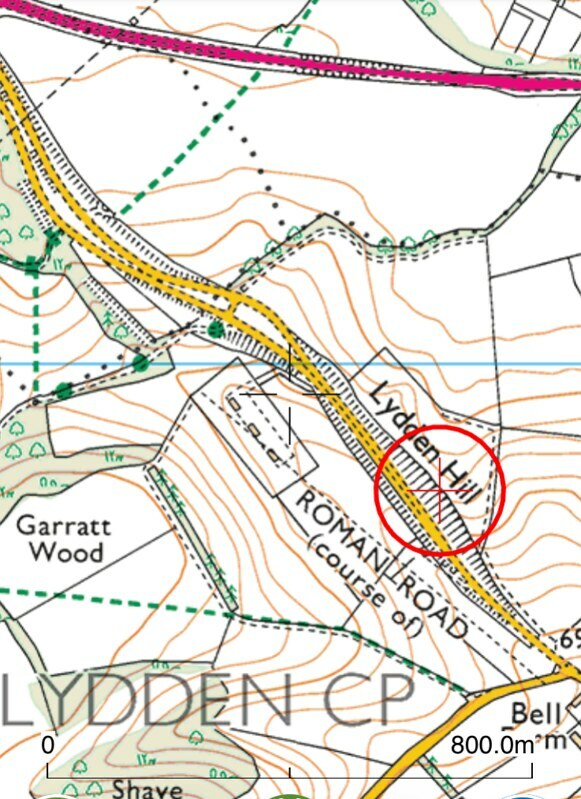 While many of Britain’s “modern” roads – especially the main ones – follow the alignments of known Roman highways, many stretches of Roman road have yet to be discovered. As well as using aerial surveys, ground-penetrating radar or extrapolations from known Roman alignments, there’s a sweet-smelling way of spotting a hidden Roman road: follow the flowers. Roman soldiers would accidentally deposit seeds as they trudged. Linear accumulations of invasive species such as greater celandine, corn cockle, cotton thistle, scarlet pimpernel, white mustard and the field woundwort, all flowers used by Roman soldiers, can suggest the proximity of a long-forgotten Roman road. Blackthorn hedges, too, can hide Roman roads beneath them. Anticipations of the reaction of mechanical and scientific progress upon human life and thought, H. G. Wells, 1901. BBC News Online’s April fool spoof in 2006 was: “M45 to be listed as heritage road.” “The transport secretary said “The M45 is a valuable part of our heritage, and it is right that it is preserved in its original state for future generations.” As part of the process of designating the motorway as a heritage road, it will, in future, enjoy the same level of protection as a grade 2 listed building. Many people fell for the spoof. In The Railway Magazine, April, 2014, Will Adams imagined “motorway heritage” trips would take place in 2065: “One by one, the nation’s lesser-used motorways, dual-carriageways and bypasses began to be abandoned. “Sandling’s report recommended closure of hundreds of miles of unnecessary motorways, thus saving millions in maintenance and policing alone. Unprofitable service facilities were to be withdrawn and thousands of acres of land made available for more productive uses. “Roadside closure signs were duly posted and the last traffic used the M45 at the end of March 2065. “Happily, a group of local people were intent on saving the route, which, although heavily overgrown, was complete with original bridges, designed by Owen Williams. A meeting was held in a pub in Thurlaston as soon as the closure was announced and the Thurlaston and Rugby Motorway Acquisition Committee (TARMAC) was established with the aim of keeping the road open and restoring the London-bound carriageway, thus becoming Britain’s first privately operated ‘heritage’ motorway. 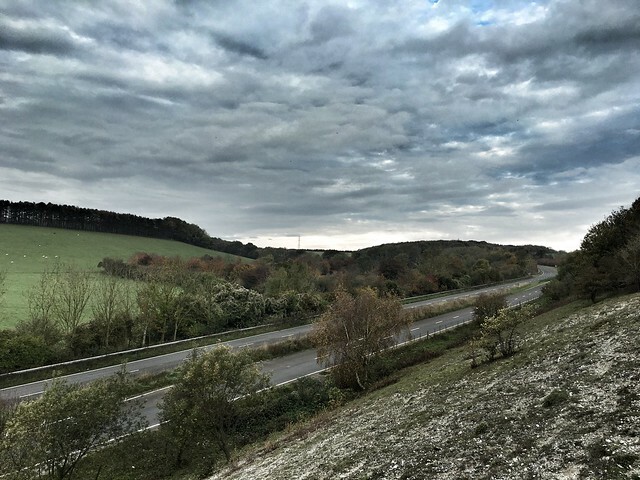 “A fortnight after the handover, a motorists’ gala weekend was held and several dozen car-owners turned up to savour the delights of an almost empty motorway once more. “Today, the M45 is a thriving heritage concern, with special events to attract tourists and enthusiasts. A popular event is the annual Tailback Weekend, featuring the cones and flashing yellow lights we remember so fondly from our childhood. Lane closures are re-created and drivers crawl along in period cars and buses, with volunteers dressed as roadworkers…” Via. Helsinki is planning for a car-free future, informed by a thesis by transportation engineer Sonja Heikkilä. “A car is no longer a status symbol for young people,” Heikkilä told the Helsinki Times. “The future resident of Helsinki will not own a car,” Helsinki Times, July 4th, 2014. The Finnish capital plans to transform its public transport network into a comprehensive, point-to-point “mobility on demand” system. Paul Watters, head of roads and transport policy at the Automobile Association, was speaking in an online debate about car-free cities. Solar Roadway panels were introduced in 2006 and went viral in 2014. Elevated railway systems are 1880s technology but can always be updated and sold as “new”. The SkyTrans system from Israel/California has been knocking around for six or so years and still gets regular news exposure despite its rather obvious capacity problems. skyTran’s computer-controlled, 2-person vehicles can accommodate much of the world’s commuting population within a smaller footprint and for less than other mass transit systems. Because skyTran is built as an expandable grid, it will never be filled to capacity. As the demand grows, more track can be installed and additional vehicles can be added the network. Riders are transported very rapidly with skyTran. The stream of skyTran vehicles never stops moving as traffic jams are unheard of on the skyTran network. The computer-controlled system provides optimal spacing of the skyTran vehicles. There are no schedules to follow or lines to wait in with skyTran. While all other forms of mass transit are governed by schedules, skyTran is truly on-demand. The skyTran vehicles are cost-effective for both a single occupancy (which accounts for 75% of US commuters), or for those wishing to travel with a partner. For larger groups desiring to commute to their destination together, multiple skyTran vehicles can zip along in a computer-linked caravan, meaning the entire family of vehicles is never separated. The parents can ride in comfort in the lead vehicle relaxing to music and a panoramic view while the kids are trailing behind in a separate vehicle playing video games. Legacy mass transportation systems (such as trains and light rail) require massive infrastructures, high energy demands, and costly, complex vehicles. These cumbersome systems cost hundreds of times more than skyTran to build, maintain, and operate. Even freeways are dozens of times more expensive per mile to construct than the simple skyTran tracks which can be installed alongside existing roadways and walkways with minimal interruption to communities, businesses, and property. Unlike the eyesore of legacy rail systems with their massive steel and concrete frameworks, or freeways with their gigantic concrete footprints, skyTran uses small, lightweight poles and narrow, low-profile guideways that can be installed alongside sidewalks, over local shops, and even go into and out of buildings. The Right Place: A Book of Pleasures, C. E. Montague, Chatto & Windus, London, 1924. From 1921 onwards, UK roads were classified as either A or B roads. For funding purposes they were also classified as either class 1 or class 2 roads: class 1 roads got a larger grant from central government and it was therefore entirely predictable that some roads that shouldn’t have been classified as major were so labelled. 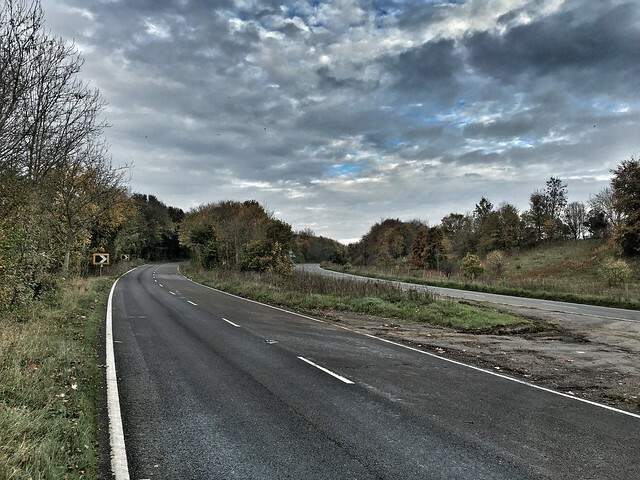 Many of Britain’s A roads – and motorways – use the same or similar alignments as Roman roads. The Romans knew each main road as “iter”, with a number attached: such as Iter II or Iter VI. Or, more accurately, an itinerary of road names. The Iter Britanniarum is the British section of the Antonini Itinerarium, a register of the stations and distances along the roads of the Roman empire. Roman Roads in Britain and their impact on Military History, M. C. Bishop, Pen & Sword Military, 2014. However, according to the latest research, it’s now believed that Rome – and probably other cities in the empire, too – was far from being a pedestrian city during the day. The Latin word used for “wheeled transport”, *plostrum*, has long been translated as “wagon” but Alan Kaiser, a specialist in Roman carts, believes the word refers specifically to a large “utilitarian ox-cart, intended for transporting heavy loads.” Lex Julia Municipalis didn’t ban all wheeled transport, just the heaviest and most lumbering.⁠ Ancient Roman Statutes, Johnson, Coleman-Norton & Bourne, Austin, 1961. “Cart Traffic Flow in Pompeii and Rome,” Alan Kaiser, Rome, Ostia, Pompeii: Movement and Space, edited by Ray Laurence and David J. Newsome, November, 2011.